ALTHOUGH small in size, the seemingly inadequate body of the olive not only conceals a powerful flavour but possesses an even more powerful history and influence over Mediterranean culture. In Spain, one of the most critical aspects of any kitchen is the bottle of olive oil that sits atop the counter, waiting to liven up a morning tostada, add flare to a tapa or serve as the base for a dinner dish. 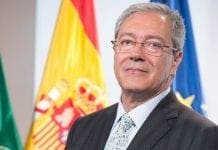 The love that Spain has for its ‘liquid gold’ is reflected in the statistics it boasts. It is the world’s largest producer, responsible for 44% of the world’s supply of olive oil. That’s twice the amount produced by Italy, and four times the amount produced by Greece, translating into 1.2 billion litres per year – enough olive oil to fill 400 Olympic-sized swimming pools! Spain is home to some 300 million olive trees, which live to the ripe old age of between 300 and 600 years. Production is concentrated primarily in southern Spain, where the climate creates extremely favorable conditions for the growth of olive trees. The Andalusian province of Jaen is responsible for 70% of all Spanish olive oil. Although Spain takes first place for production, it comes second behind Greece, for olive oil consumption. Per year, the average resident of Spain uses about 10 litres. Olive oil is said to have been introduced to Spain by Phoenician tribes from Syria and Lebanon in 1050 BC. The Spanish word for oil – aceite – reflects this influence, coming from the Arabic word al-zat, which mean ‘olive juice’. The Romans were responsible for the spread of olive groves across Spain, and for the creation of more advanced production and cultivation techniques. For the Romans, olive oil was not only a cooking ingredient but also an important aspect in daily life, used as a preservative and for fuel, and was even said to have been used to light the first Olympic torch. Despite the 100-plus varieties of olives that exist in Spain, only 24 are used in the production of oil. In Andalucia, the olives used for production, and at times, as table olives at restaurants, are the Picual, Hojiblanca, Lechin, Verdial and Picudo. Picual – Concentrated in Jaen and neighboring provinces, these olives are responsible for 50% of olive oil in Spain, and 20% worldwide. Each olive has a high yield of oil, ranging from 22-27%. The Picual’s excellent reputation is attributed to the high concentration of oleic acid, important for its antioxidant properties and in the prevention of cardiovascular disease. Those grown in the lowlands have more body and a woodier, more bitter taste than the sweeter, fresher flavour of those grown in the mountains. They are ideal for frying, salads and gazpachos. Hojiblanca – Also known as Casta de Cabra or Lucentino, these olives are prominent in eastern Seville, southern Cordoba and the north of Malaga. Oil from this type of olive makes up about 16% of Andalusian production. The name comes from the white coloring on the underside of the trees’ leaves. High in fatty acids but low in saturated fatty acids, they are good for the health and their initially slightly sweet flavour develops into a more bitter almond aftertaste. Hojiblancos are good for frying and making dough, and the preferred ingredient in breads, pastas and pastries. Lechin – Known for their milky-white colour, these olives can be found in Granada province and parts of Seville. They have an oil yield of 18%, and are typically mixed with other varieties to create blends of olive oil. They have a slightly bitter flavour and a green almond aftertaste, and are best for tapas and sweets. 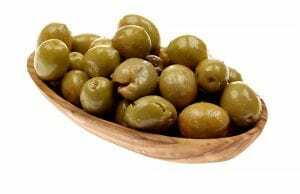 Verdial– This is the name given to a number of local varieties of Andalusian olives with similar characteristics. They can be found in Malaga, Granada, Cordoba, Seville and Huelva. They are larger than their cousines, with a high fat content, and a flesh to stone ratio that makes them ideal for oil as well as the table. Their sweet flavouralso makes them a good choice for salads and gazpachos. 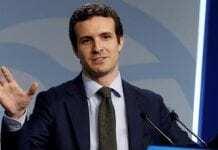 Picudo – Also known as Pajareros, or ‘for birds,’ as birds are partial to their sweet flavour, these olives are mainly found in the south of Cordoba and Baena, and less abundantly in Jaen, Malaga and Granada. Size-wise, they are the second largest olive used in production, and have a 20% oil yield. They are very delicate, with a soft flavour, and an exotic fruit aftertaste, making them perfect in warm salads, gazpachos, pastries and simply as table olives. Before a tree can produce olives, it must mature for several years. Careful pruning can increase the amount of olives one tree will yield. 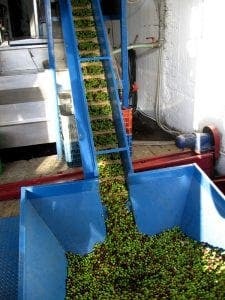 When the olives are mature they are either hand-picked or shaken to the ground by machine. This shaking process can bruise the olives, making the hand-picking process a better option for quality. The leaves and branches are separated. 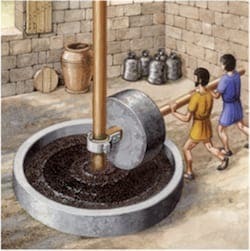 The olives are pressed using stainless steel rollers (in the past, stone or granite was used), crushing the flesh and pit into a paste. Water is stirred into the paste for 20-40 minutes, causing the oil molecules to clump and concentrate. The paste is then put on mats for further pressing. The paste and water are removed from the mixture, leaving the oil. If desired, the oil can be further refined, which will result in the specific smell, taste and colour that the producer desires. – Olives are high in oleic acid, which reduces inflammation and has been linked to lowering the risks of certain cancers. -They have high concentrations of monounsaturated fats, which lower bad cholesterol without affecting good cholesterol. -They have an ideal concentration of saturated fats, omega-3, omega-6 and fatty acids, as well as antioxidants. -Research has shown that olives can decrease the risk of heart disease, inflammation, certain types of cancers, type 2 Diabetes and stroke and may even help fight Alzheimer’s. 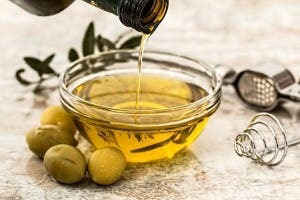 -Olive oil consumption is not linked to weight gain. -Extra Virgin Olive oil contains the most antioxidants, vitamins and minerals. For those looking to experience the history of olive oil first hand, there are museums in Jaen (the Olive and Olive Oil Visitor Centre) and Cordoba (the Baena Olive and Olive Oil Museum). Both provide displays, images and even libraries detailing the production and history behind the olive and the oil. 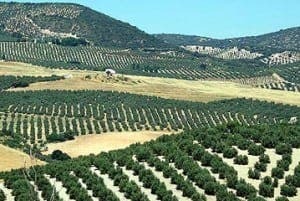 You can also make the journey up to the small towns of La Senia and Ulldecona in the south of Catalonia, where you can visit the world’s oldest olive groves. A stroll through this open air museum of olive groves introduces visitors to trees that are over 1,000 years old, and one which is over 2,000 years old.